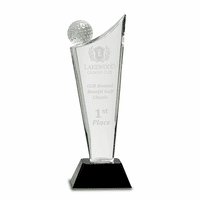 FEATURES/SPECS There are lots of trophies out there to choose from, and what sets the Executive Gift Shoppe apart is the sleek, classic look of crystal. 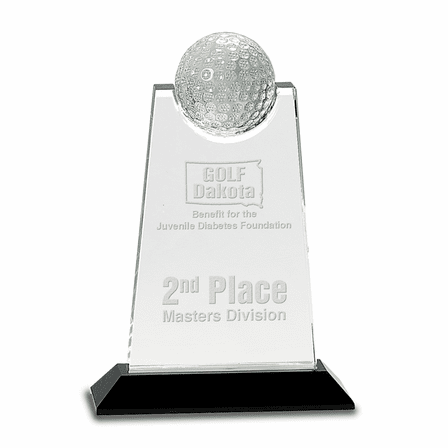 The winners at your next tournament will love taking one of our golf awards home to display on the shelf with their best golfing keepsakes at the 19th Hole! Crystal is sleek, elegant and timeless. 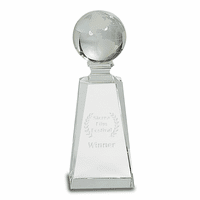 This award is a clear crystal trapezoid plaque with a cutout top that holds a carved crystal golf ball, complete with dimples! The clear plaque face is the perfect area to personalize the details of your event and a logo. 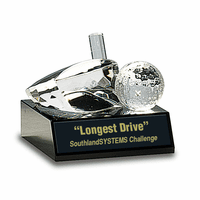 The plaque and golf ball are resting on a jet black crystal pedestal base, and the trophy stands 9' in height, perfect for desk or shelf display. 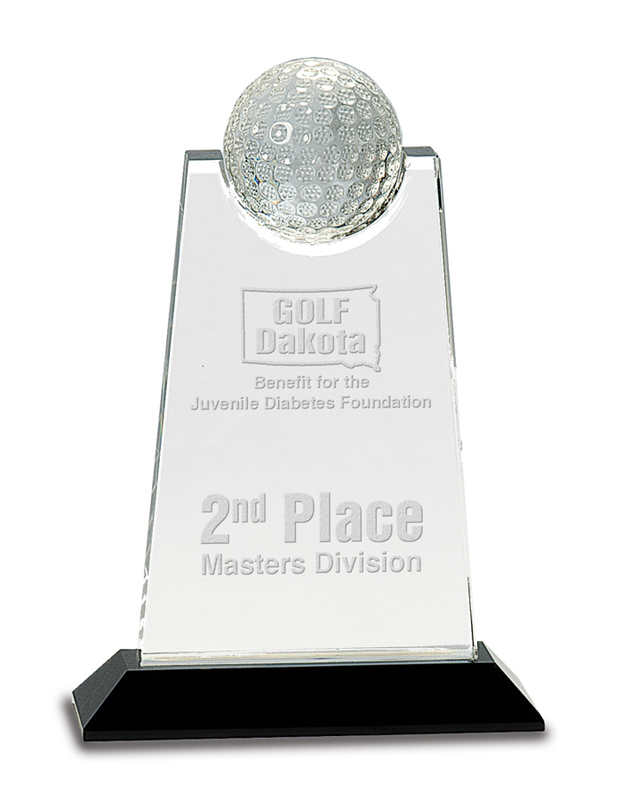 We will send it to you in an attractive gift box, so you can be all ready for the tournament awards ceremony, with time to spare to work on correcting that slice! 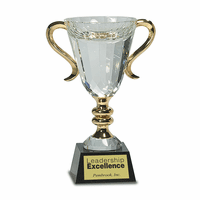 We're so sure you'll love this trophy that we are giving you our Satisfaction and Performance Guarantee!